Are you ready to celebrate Cinco de Mayo? I have a delicious cocktail recipe that is perfect for this day. It is called a Michelada cocktail and it’s sort of like a Mexican bloody Mary, but without the vodka. This drink uses your favorite beer instead. If you enjoy making and drinking cocktails, be sure to check out National Cocktail Day for some fun facts and recipe inspiration. Cinco de Mayo is known for celebrations that feature spicy Mexican Food. (Check out some recipes for National Chili Day and National Burrito day, held last month to get some menu ideas.) This cocktail will feel right at home with the recipes! 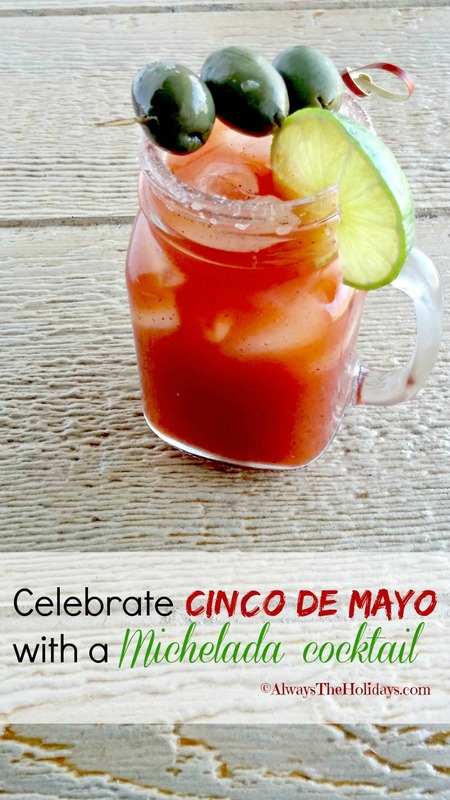 It’s time to heat up Cinco de Mayo with this spicy Michelada Cocktail. The words “cinco de mayo” are Mexican for the Fifth of May, which is when this celebration is held. The date is observed in Mexico to commemorate the Mexican army’s victory over French forces at the Battle of Puebla on May 5, 1862. Many in the USA think that the celebration is Mexico’s independence day, but this is actually held on September 16. Whichever way you celebrate the day, it is normally done with plenty of tasty, and spicy food and drink. 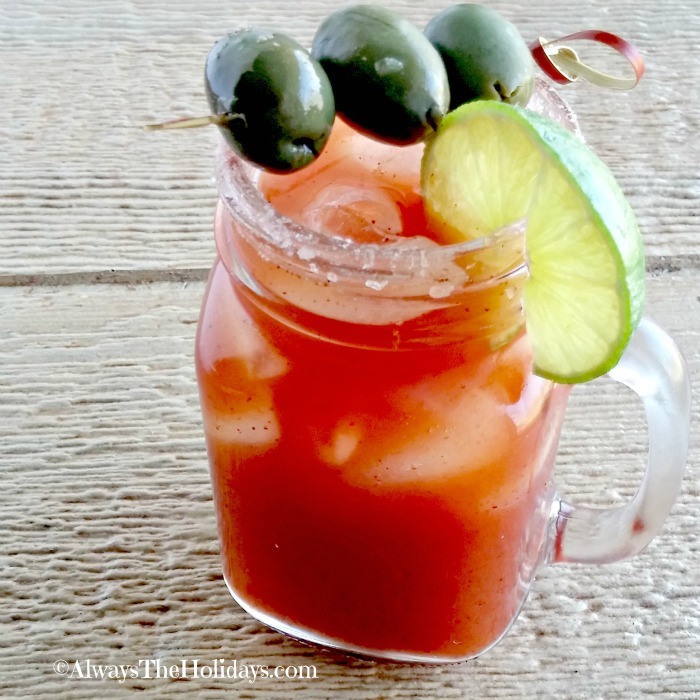 This Michelada has plenty of both and is perfect for the day. To make the Michelada cocktail, start by placing your chili powder and sea salt on a plate and using a lime to rub the rim of the glass with lime. I used Mason jar glassesfor a party effect. 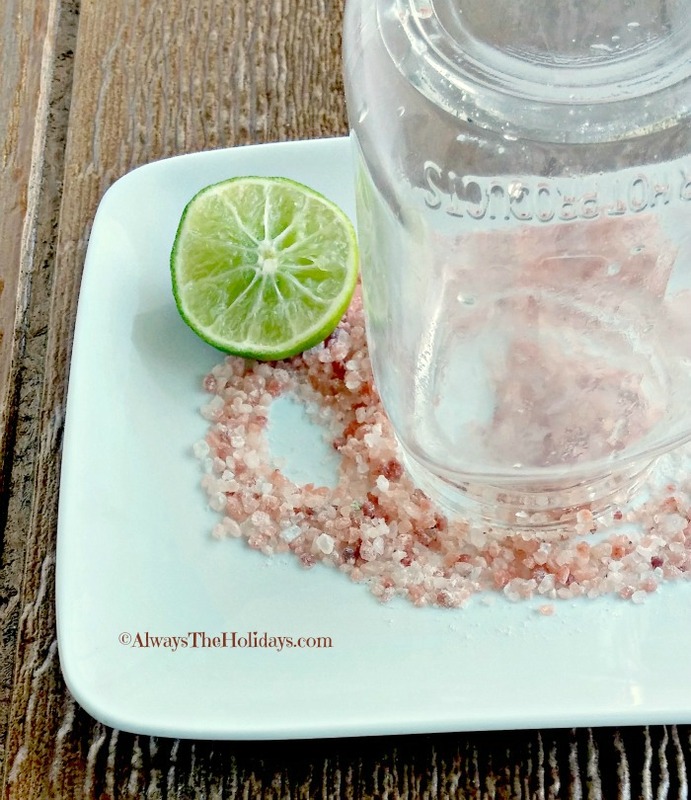 Dip your glass into the sea salt and set aside. Combine all of your drink ingredients in a pitcher, mix well and pour over ice in the glass. Garnish with the Michelada cocktail with stuffed olives and a lemon slice. Enjoy! Serve this Michelada cocktail with some spicy bacon wrapped chicken appetizers for a super party combo. Be sure to visit The Gardening Cook for a great progressive dinner party for Cinco de Mayo, too. Lots of wonderful recipes, including this cocktail! 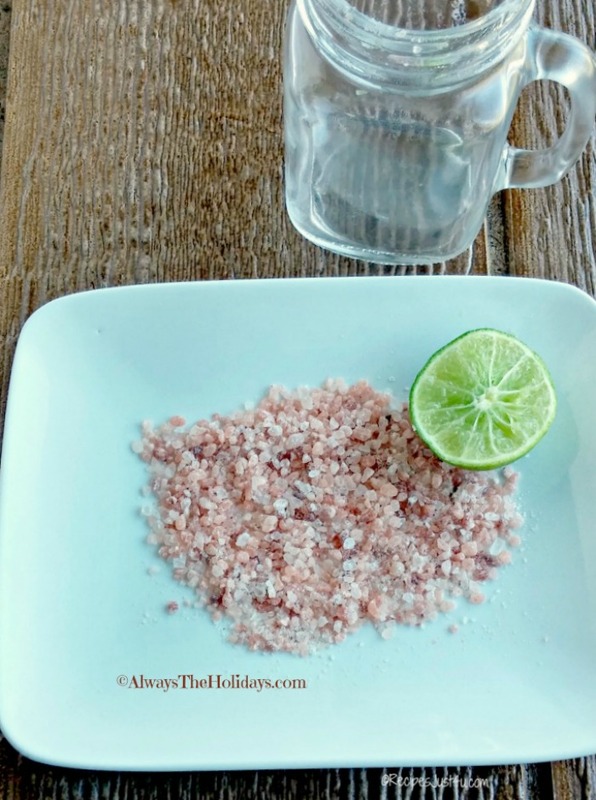 Mix the pink sea salt and chili powder on a flat plate. Use a cut lime and rub it around the rim of 2 drink glasses. I used Mason jars for a party look. Fill each glass with ice. Pour the drink mixture over the ice. Garnish with olives and lime wedges. Enjoy! I don’t make many cocktail, but you are changing my mind with this one! Such great flavors and the perfect way to celebrate Cinco de Mayo! Thanks Teri. We loved the taste of it!